IT departments are constantly searching for new ways to optimize the speed, quality, and cost of their IT Service Management (ITSM) activities. Surprisingly, one solution that is often overlooked in the optimization process is the increased usage of a discovery tool within a configuration management system (CMS) to be the powerhouse for all ITSM, ITAM, operations analytics, and even network management processes. 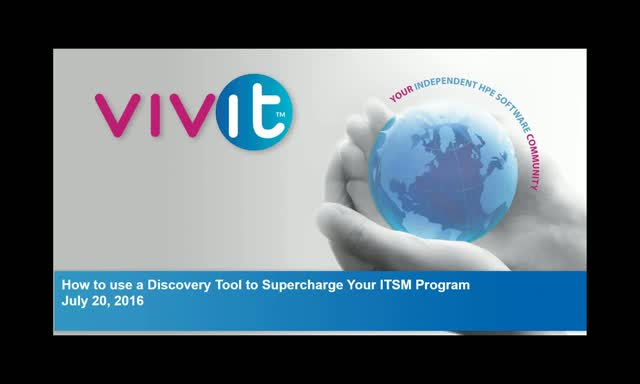 This webinar will take a deep dive into the uses of discovery tools and how they can be greater leveraged into all facets of ITSM, ITAM, operations analytics, and network management processes for increased value creation.